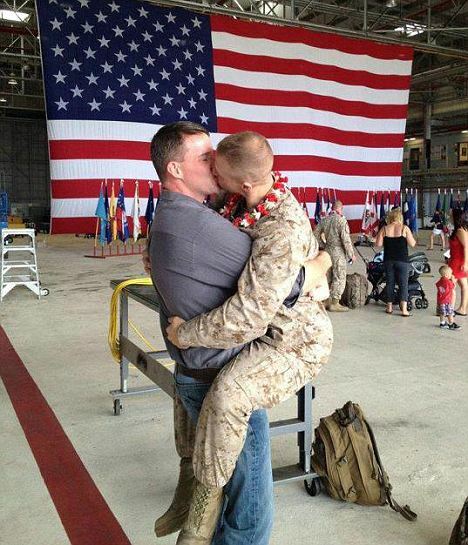 I’m soooo excited by this photo of a marine arriving home from active duty and leaping into the arms of his partner. The outraged wailing and gnashing of teeth that will inevitably ensue from religious and right wing groups will be a joy to behold. I’m just nipping out to get me some popcorn. Anyone want anything?